Consider this your guide to the easiest homemade peanut butter. Requiring just 1 (or 2) ingredients, this nut butter comes together in only 10 minutes! Add peanuts and a big pinch of sea salt (if using) to high speed food processor*. Blend on high for about 10 minutes. During this time, the nut butter will become powdery, then for a thick mixture, and then become a smooth, creamy butter. Scoop peanut butter into a small, sealed jar. 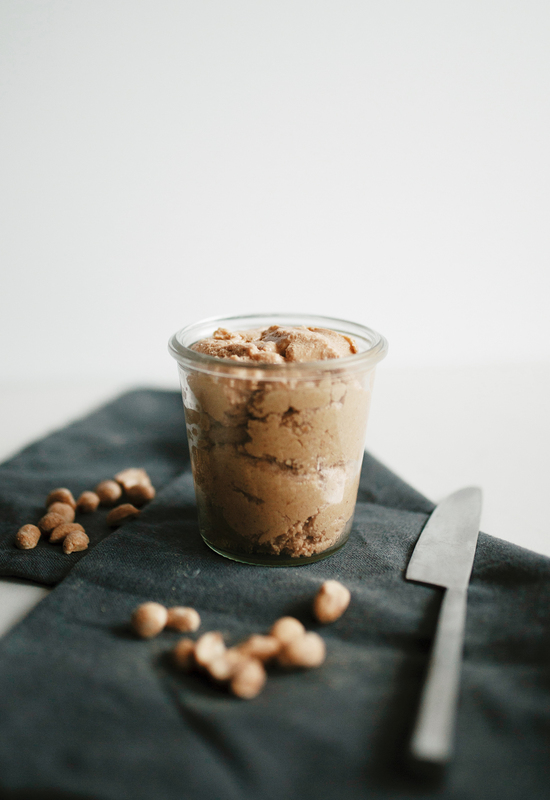 Nut butter will last for up to 3 months at room temperature or refrigerated for up to 6 months. I prefer refrigerating my homemade nut butter as it prevents the natural separation which simply requires stirring the oils back into the nut butter. *You can also use a high-quality blender—like a Vitamix or Blentec. Most blenders will not distribute mixture well while blender so in general, you are better off using a food processor. Nutrition information is a rough estimate of 1Tbsp. or 1/16th of the entire recipe.